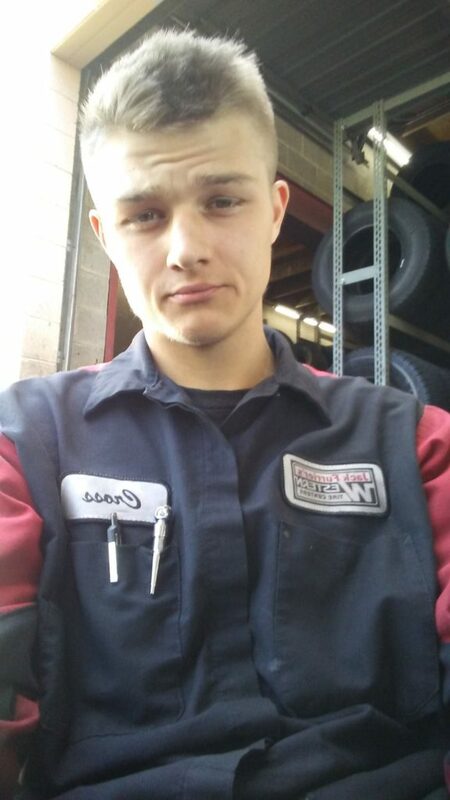 21-Yr-Old Mechanic Finds Woman With No Pulse, Uses “The Office” To Save Her Life. 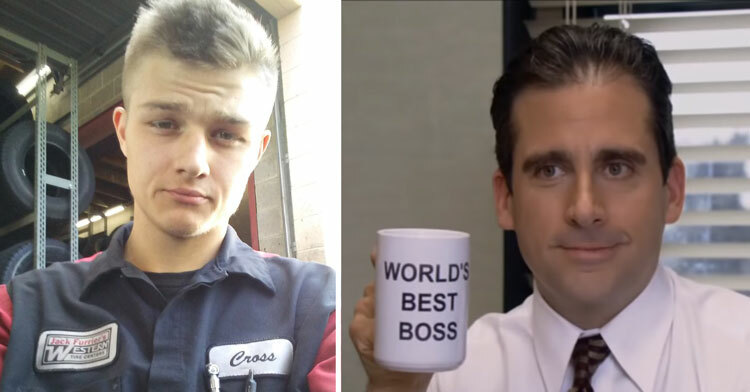 Just when you thought you couldn’t learn anything from binge-watching your favorite sitcom…..
Tire shop technician Cross Scott (no relation to Dunder Mifflin’s Michael Scott) was test-driving a customer’s car when he spotted a sedan pulled over with its hazard lights flashing. Cross stopped to help, but when he approached the vehicle he saw something that made his blood run cold. Inside the car, a woman was slumped over, unconscious. Thinking quickly, Cross stuck a rock underneath the woman’s front tire and used another rock to smash her window. Two women pulled up alongside the young man as he crawled into the car, and he calmly instructed them to call 911. Cross, who has no medical training and has never taken a life saving course, knew enough to take the woman’s pulse. When he realized she wasn’t breathing and had no pulse, he recalled an episode of “The Office” where the coworkers learn how to do CPR using the song, “Stayin’ Alive” by the Bee Gees. Even though he’d never attempted anything like this in his life, Cross began giving the woman chest compression in time to the song, just as he’d seen Michael Scott and the gang do it on the show. He even sang the song lyrics out loud as he worked, keeping time with the tempo and trying to coax the woman’s heart back into a normal rhythm. Although Cross had no experience beyond his knowledge of funny TV shows, his quick action worked. A few moments after he began compressions, the woman began breathing on her own. She soon regained consciousness and threw up, just as paramedics arrived. She was taken to an area hospital to recover. The EMTs who showed up told Cross that if he hadn’t stopped to help the woman, the story would have had a much sadder ending. Even though Cross was unsure of how exactly to perform this life-saving act, Jonathan Epstein, the senior director of science at the American Red Cross training services, says that his actions could only help the victim. 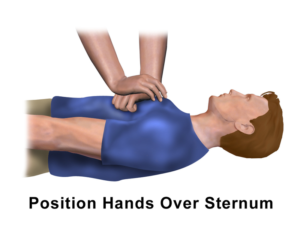 “Chest compressions alone are a benefit to the patient,” said Epstein. “You can’t hurt them if they’re not breathing, so all you can do is make them better.” The organization urges everyone to take a one-hour CPR course just in case they ever run into a situation like Cross did. Wow, what a story! It’s impressive alone that Cross spotted that car and stopped to see if he could help, but to jump in there and try to save her life is truly incredible. Plus, we now have a story to tell people when the criticize us for watching the same sitcoms over and over again. Who knew that watching “The Office” could save a life? Please share this story to encourage everyone to take a CPR and first aid class today.